2011 Editors Picks - As A Matter Of Business, Is The EV Value Prop Viable, Or Nothing More Than A Nextgen Unicorn? The 22nd of June 2011 was a bad day for the green car business. That morning, Norwegian-owned Think Global AB, executed a Chapter 7 bankruptcy after first surrendering its corporate assets to a court-assigned trustee. The trustee in turn was tasked with either finding a new buyer for the company as a whole, or liquidate all assets on a piece-by-piece basis. Given the fact that part of the "all assets" question involves Think's wholly-owned domestic subsidiary Think Cars US, one can assume that there are a lot of unhappy folks in and around the company's manufacturing plant in Elkhart, Indiana. However, the business failure begs a larger question, since if a well-established 20 year-old EV producer can't attract enough interest to capitalize its operations after two decades, what other business failures lie in wait for the EV segment as a whole? We have already watched as Tesla offered itself up to Toyota as a way to fend off its own near-failure (ultimately managing to pull off an after-the-fact, and somewhat blue-sky IPO, that made a lot of near-term cash, while at the same time creating an enormous cost furball for the Japanese car maker down the road). But other than the San Carlos operation, everything is ominously quiet within the domestic EV segment, and when I say quiet, I mean dead. When weighing ROI in the case of the electric car value proposition, the sad truth is that the concept is simply all hat no cattle. Blathering on about tree-hugging, carbon-free, cheap-to-own, everyone-can-buy-one, Star Trek, Federation of Planets whoo ha, won't change the essential math associated with cost versus selling price. The fact is that EVs are expensive to engineer, develop, manufacture, distribute, sell, buy and maintain, and as a result the entire EV premise is a bad bet in the context of hard-nosed business investment. Further, and beyond the aforementioned limitations, in an economic era where more people are signing up for food stamps, than considering the purchase of cute enclosed golf carts, successful capitalization should encompass reasonable profit. But, in the case of EV companies, this notion flies on the face of conventional investment wisdom, since they continue to offer little in terms of the bottom line by creating product values that cost a pretty Penney, while offering nothing much more than the satisfaction of driving a carbon-free vehicle, along with 100 miles worth of range, and the 12 hours of downtime necessary to complete a full-power battery charge. Of course, there is always the Federal Government. But, bureaucrats seem to like to talk about the idea of investing in electric cars, much more than they like doing something about it. As a result, politicians don't appreciate direct business capitalization much, and prefer tax credits as a typical half-empty approach. This is mainly because of the pesky little business responsbility called risk-management. In this case, if the tax dodge works out, and a company makes a go of it, politicians get the credit for free, and at virtually no risk other than having to deliver huge volumes of hot air. But, on the other hand, if the government has money in an enterprise and it goes south (sort of like the Chevy Volt), politicans would quickly find themselves standing beside closed manufacturing plants while the news cameras rolled at six, nine and eleven. So, instead of doing something meaningful like developing honest public sector investment in electric car technologies, they instead deliver cash grants for more weighty issues like University studies based on measuring the viscosity of ketchup, or how many drunk co-eds it takes to change an EPA-certified florescent light bulb. In mythic times in a host of countries, people believed in an animal that offered total purity and complete emotional sustenance to the human soul, and these creatures came to be referred to as Unicorns. However, throughout recorded history, no human being ever encountered the animal in the temporal world, only in the mind's eye. 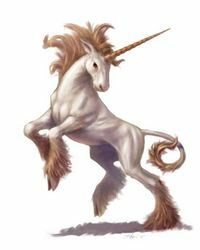 Subsequently, and throughout the ages, the Unicorn myth has come to represent the quntessential illustration of a "good idea never seen in the real world," and the EV as a business premise, offers about as much practical value as the beautiful equine with a horn in the center of its forehead. Rick Carlton has been covering professional automotive/motorsports news for 30 years in a range of print and online publications including; SCCA Magazine, On-Track Magazine, The Global Racing Network, AllRace Magazine, Automobile Magazine, Teknikan Maalma, F1 Maalma, RaceTech, Forrest Bond's RaceFax, Hill Country Wheels and Wings, The Highland Lakes Business Journal, The Austin Business Journal, and The Auto Channel. SEE ALSO: Electric Vehicles-Solution or Diversion?